The number of beds in Trinity Hall (Halls) is expected see a significant reduction with the expected demolishment of Cunningham House to make way for a new accommodation complex. Following demolition and prior to the completion of the new expansion, an interval is expected where the number of beds in Halls will be notably lowered. Cunningham House currently provides 68 beds to students. Speaking to Trinity News, Dean of Students Kevin O’Kelly said that the development team “hope to minimise the time that those rooms are lost”. A date is yet to be set for the demolition, as it depends on the design team receiving planning permission. Planning permission for the project is to be submitted through An Bord Pleanála’s Strategic Development Scheme. The scheme has been put in place as part of the Rebuilding Ireland plan, and aims to speed up the planning application process and decrease construction time for larger housing and student accommodation projects. 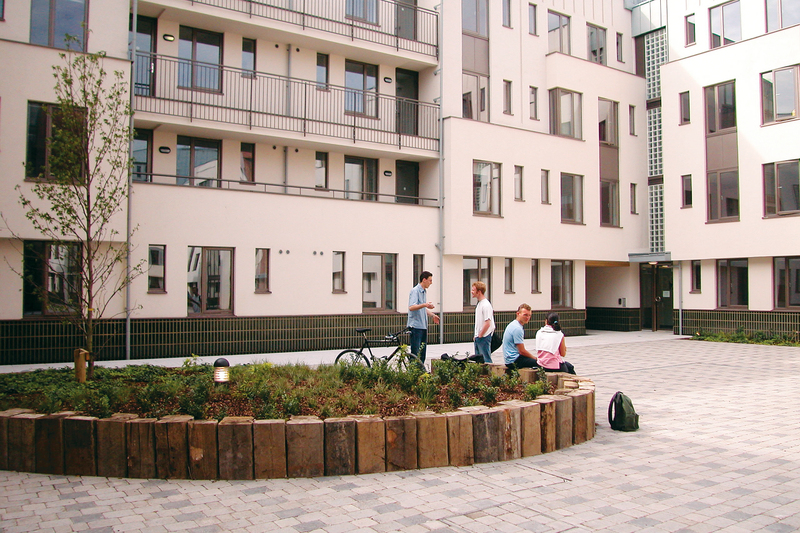 Planning permission for student residential projects with more than 200 beds must be submitted through the scheme. Cunningham House was built in 1973 as a modern, co-educational addition to the previously all-female Trinity Hall. The Irish Times called the construction of Cunningham House “the final step in the fight for female equality in Trinity”. It marked the end of formalities in the residence, where girls were expected to attend a nightly meal, adhere to a curfew, and overnight guests were strictly banned. Construction on the 300-bed Halls expansion is due to begin in July 2020 at the earliest, and is expected to be finished by 2023. The design team behind the project are currently modelling building costs and subsequent renting costs for different housing options, including apartments of six to eight single bedrooms with shared bathrooms, and shared-room apartments with shared bathrooms. O’Kelly has noted that “while Irish students want lower rents, they may not be prepared to share rooms,” and so is planning on commissioning a “professional market survey of our students to determine what the key criteria is for them”. Halls currently houses over 1,000 students, most of whom are first years. It also houses second year students who are elected to the Junior Common Room (JCR), which oversees student life in Halls, and third year Scholars. The 300-bed expansion is one of four capital development projects underway across campus with funding from a €100m investment from the European Investment Bank (EIB).